Changi Airport is the major civilian airport for Singapore, and one of the largest transportation hubs in Southeast Asia. It is currently rated the World’s Best Airport for the sixth consecutive year since 2013 and is one of the world’s busiest airports by international passenger and cargo traffic. The airport is located in Changi, at the eastern end of Singapore, approximately 17.2 kilometres (10.7 mi) northeast from Marina Bay (Singapore’s Downtown Core) and 28 km from the Conference site (Siloso Beach Resort in Sentosa Island). 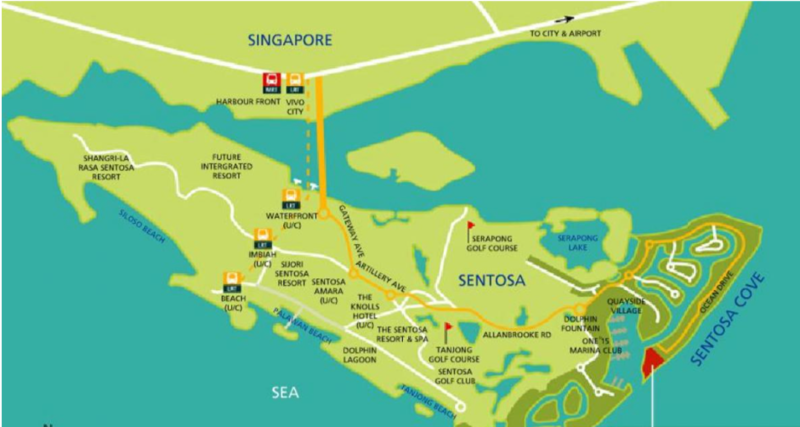 There are 2 ways to get from Changi Airport to Siloso Beach Resort, Sentosa; by subway or taxi (or rent a car). Duration 1 h 15 min.Take the subway (MRT) from Changi Airport to Tanah Merah (green line), crossover to green line from Tanah Merah to Outram Park. Then purple line from Outram Park to Harbour Front where you take the monorail (LRT) into Sentosa Island. You can use the same MRT card. On Sentosa Island embark at Beach Station and walk to Siloso Beach Resort. You can purchase a ticket at the MRT station or buy a MRT card (rechargeable) for multiple use. Duration 27 min (28.5 km) taxi takes you directly to the resort. There are many taxis in Singapore and they are all reliable and metered.